In the field of online and mobile gaming, things are always changing. With technological advances and changes, there are always new things to learn about and ways that things see to change. What you knew yesterday isn’t always the same as what you’ll know now or what will happen in the future. For this reason, the Australian online casino is dynamic and an always-changing place where you can learn about the laws that guide gambling in 2018. Gambling started in Australia as early as the 1700s when settlers who first came to the shores brought the games with them. The Chinese introduced the settlers to card games and gambling offered a type of competition and money exchange they hadn’t had before. It is, of course, hard for one country to regulate gambling since there is so much that is international about gambling laws and about the way that people gamble online. Online gambling first took off in Australia in the 1990s, as it did in many places around the world. In 2001, the Australian Commonwealth Parliament passed the Interactive Gambling Act to try to limit how much Australians could get internet games and how much people could advertise their services to its citizens. 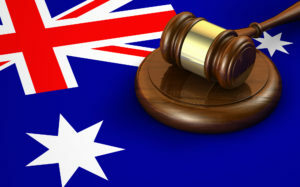 With the evolution of the Australian online gambling laws, an amendment was brought to the Gambling Act in 2017 which requires additional licensing for gambling sites. They have to be licensed by the Australian authorities. It also said that players could not use free bets and other things. This is the most recent addendum but certainly things are always changing. The Commonwealth oversees the gambling industry but much of the regulation has been put on the shoulders of the states and territories. This includes regulations like the Australian Capital Territory’s Gambling and Racing Commission; the New South Wales Office of Liquor, Gaming and Racing; and the Northern Territory’s Licensing Commission. Where Can Australian Players Play? Certainly, players in Australia play at the land based casinos that exist throughout the country, at the online sites and on their mobile devices. They also play in international online locations. While the government does not want these international sites marketing themselves in Australia, players are certainly allowed to play at such locations. Some people worry about how they will process their payment if the government frowned on Australian banks allowing these transactions. But there are many third-party processors who are only too happy to move the money for you and to allow for simple processes for deposits and withdrawals. It’s an interesting question to see if you have to pay taxes on your casino winnings. With pokies online casino wins and any other types of wins, there are no taxes in Australia. The casino operators and betting companies are taxed, so this is one of the reasons that they don’t feel the need to tax the players. Australian players can continue playing without worrying about laws that would block them from being able to enjoy playing or taxes that would take too much of that money from them. The Australian online gambling laws 2018 are set up to protect the player and to keep people from over advertising. They are in place to protect the average player and should be seen as a system that allows you to play and enjoy, while also protecting you.